The words composing the affirmation, automatically and involuntarily, bring up related mental images into the mind, which could inspire, energize and motivate. Repeating affirmations, and the resultant mental images, affect the subconscious mind, which in turn, influences the behavior, habits, actions, and reactions. Affirmations are dynamic and practical — not wishful thinking. One reason they work is that they are based on higher truths, which, perhaps, we have yet to realize on a conscious level. They change the way we think and behave, and this can bring us into contact with new people, who can help us with our goals. Positive statements make us feel positive, energetic and active, and therefore, put us in a better position to transform our inner and external worlds. Ideally, affirmations should be repeated in a quiet space with concentration. This repetition allows one to change habit patterns and attitudes over which one normally has little control. When one realizes that a recurring tendency has been negatively impacting their life, this is an especially good time to use affirmations. New Thought of Affirmations: The New Thought movement is not part of the New Age but does share certain practices. This concept has grown popular due to Rhonda Byrne’s The Secret (also a 2006 film). These books and teachers express similar ideas to Napoleon Hill’s book Think and Grow Rich. Byrne was inspired in particular by Wallace D. Wattles’ 1910 book The Science of Getting Rich. 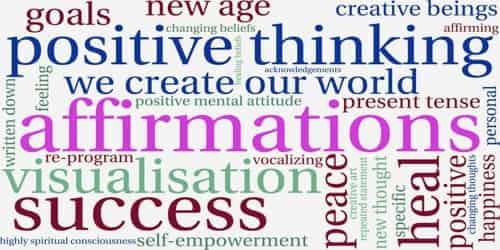 Affirmations are also referred to in Neuro-linguistic Programming (NLP), Neuro-Associative Conditioning “NAC” as popularized by Anthony Robbins, and hypnosis. In 1984 Louise Hay a Religious Science Practitioner published You Can Heal Your Life, a guide to changing thoughts and beliefs. Hay’s affirmations are designed to help the user re-program their thought patterns, the intention being that harmful underlying belief which Hay believes psychologically support illness will be replaced with healing beliefs, and thus remove a barrier to healing. 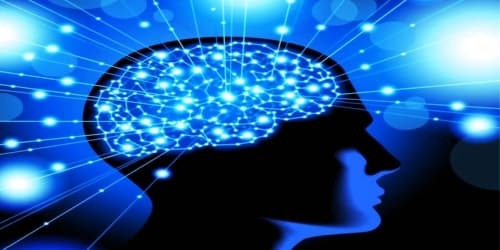 The Subconscious Mind: Our subconscious mind is the deep part of us that takes in 40 million bits of information every second, after a filtering process in the brain we only perceive 5 – 9 bits per second. These 5 – 9 bits per second is our perception of reality. In the subconscious lies all of our past experiences, like a computer logging every millisecond. Esther Hicks, author of the Law of Attraction series, advocates using affirmations when one is already in a state of happiness and peace. Proponents of New-Age affirmations say that with our thoughts, desires, and emotions, we create our world. Motivating and inspiring affirmations for every day and for every purpose, with all the instructions to make them work. Learn how to use affirmations effectively, to improve our life, achieve goals, and get the things we want. Hundreds of affirmations for almost every purpose.